Methyl and ethyl alcohol are both commonly used chemicals, in-fact, they are staples in even the most basic chemistry laboratory or stock-room. Both are used as surface cleaners, simple solvents, and/or as biological decontaminants. Volatile as they are, they are both rather stable and relatively safe chemicals to work with. As found in the NIOSH Pocket Guide to Chemical Hazards, 100% methyl alcohol (methanol) has relatively high Total Weighted Average (TWA) exposure limit of 200 ppm and a “immediately dangerous to life or health” (IDLH) concentration of 6000 ppm. The same document is cited as giving a TWA of 1000 ppm and an IDLH of 3300 for 100% ethyl alcohol (ethanol). Both carry similar handling and storage recommendations, fire fighting measures and accidental release measures according to their respective material safety data sheets (MSDS). Of which, many focus on avoiding consumption, skin and eye contact, and isolation of the chemicals and their vapors from potential spark producers and flames. Basic chemistry and biology laboratories, as mentioned above, use these chemicals in ways that seem to defy safety recommendations by regulatory agencies NIOSH and OSHA. Who hasn’t taken a basic biology or microbiology course with aseptic technique and been taught to dip your inoculation loop into a beaker of ethanol and apply a flame? Who hasn’t taken chemistry and dissolved some solid powder in methanol on an open bench? 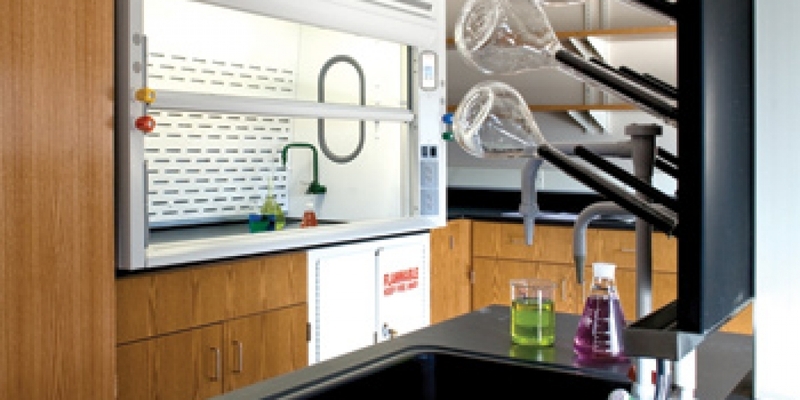 Methanol and ethanol are examples of laboratory applications that pose quite a dilemma. How do we balance safety recommendations with everyday laboratory practice and do so while maximizing operational safety? Dialog with occupational safety, local, state and federal regulators, and risk assessment documentation are critical for laboratory and personal safety when working with these and other chemicals. These conversations should result in a comprehensive laboratory plan. The selection and use of suitable protective laboratory enclosures should be included, following proper risk assessments. In addition thorough chemical hygiene plan should be incorporated into standard operating procedures according to OSHA Laboratory Standard, 29 CFR 1910.1450. Enclosures to be considered for laboratory applications include, but are not limited to: biological safety cabinets, chemical fume hoods, carbon filtered enclosures (ductless hoods), clean benches, PCR enclosures, animal cage changing enclosures and other vivarium ventilation units, and powder weighing stations.